Independent mid-market infrastructure investment manager Ancala Partners has announced it has raised £51 million of debt facilities for Green Highland Hydro (GHH). The financing follows a quadrupling in the size of GHR’s portfolio since Ancala acquired the business on behalf of its investment funds in April 2015. Since the acquisition, GHR has significantly outperformed its operational and financial targets. 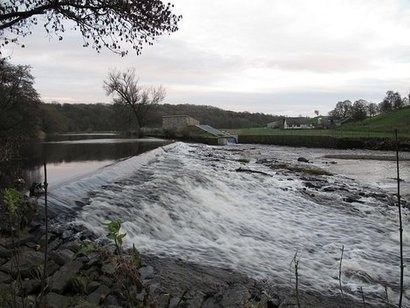 The facility has been underwritten by Allied Irish Bank and ING and has been raised against a portfolio of ten hydro assets, of which four are operational while the remainder are due to be commissioned over the next twelve months. The new debt facilities will be used to support construction of the schemes and refinance capital invested in operational assets. Ancala has identified the UK hydro sector as offering the potential to deliver attractive, low-volatility returns and acquired GHR as a platform to execute a consolidation and development strategy within the fragmented UK hydro sector. The company has been proactively implementing this approach, investing over £50 million of equity into GHR and seeking to continue growing the business. Green Highland Hydro (GHH) is the asset ownership vehicle for hydroelectric power assets developed by Green Highland Renewables. It is a Scottish company with offices in Perth and Dingwall which has been developing run-of-river hydro schemes since 2007, from initial concept through to consent, construction, commissioning and generation. It has extensive in-house capabilities covering planning, development, civil, mechanical and electrical engineering, as well as operations and maintenance and has developed over 50 hydro schemes with approximately 40 MW capacity. The company’s operating hydro projects include a 0.8 MW asset in Glen Lyon, a 2 MW twin turbine scheme at Keltneyburn and a 1.75 MW twin turbine scheme at Ceannacroc in Glen Moriston. Ancala Partners is a London-based independent infrastructure investment manager founded in 2010.